From the resplendent stained-glass cupola to the superb spa, the Hotel Jardines de Nivaria offers 5-star hospitality and luxurious modern accommodation. 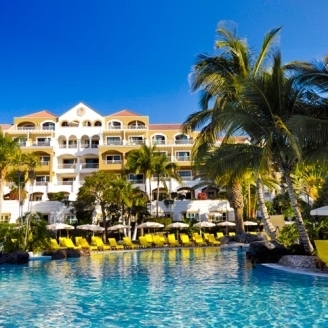 Situated in the sophisticated coastal resort of Costa Adeje, visitors will be delighted by the year-round sunshine. 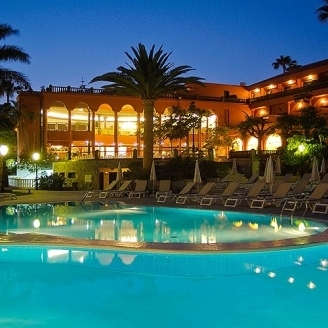 Experience the Hotel Botánico & the Oriental Spa Garden in Tenerife. 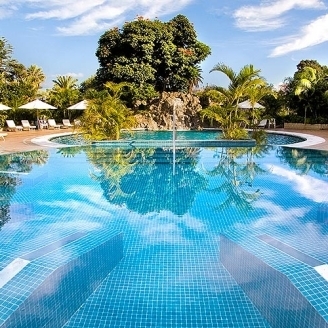 Located just a short distance from the centre of town although pleasantly secluded amongst its gardens, this 5-star hotel will guarantee glamorous 5-star quality during your holiday. 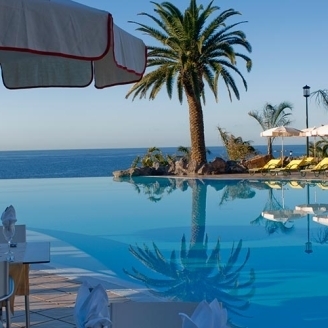 The palatial 5-star Gran Hotel Bahía del Duque Resort offers luxury accommodation with exceptional facilities on the sunny south-western coast of Tenerife. Relax in the extensive pools and gardens, pamper yourself in the spa or simply savour the breathtaking ocean panorama. Situated on the charming Costa Adeje, the elegant 4-star Hotel Jardín Tropical boasts superb facilities including swimming pools and a spa. Majestic Moorish domes and arches, complemented by extensive subtropical gardens, imbue the hotel with a tranquil ambience. 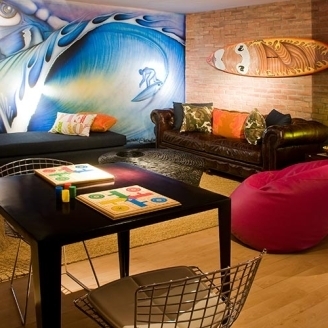 Situated on the seafront in Puerto de la Cruz, this calm four-star hotel is just a step away from the beach. Hotel Beatriz Atlantis & Spa offers a fabulous location, a spa, swimming pools and contemporary accommodation for your holiday.